Please click on each church for more information and further photos. St Giles’ church was probably founded in the Norman period. It must have been altered many times over the centuries and a major rebuilding in 1870 largely created the gothic church we see now. The earliest part of the present building is probably the tower which dates from either the early or middle of the 16th century. The tower is built of locally-sourced red sandstone ashlar and is of two stages. We have a service at St Giles' every Sunday at 11am (apart from the 5th Sunday of the month when we join together here as a parish at 10.30am). There is plenty of parking in the carpark off the Tamworth Road - just by the postbox. We are a very friendly, inclusive and relaxed congregation - there are usually around 20- 25 of us at a service. When you come in, enter through the main door, the South door, someone will be inside to welcome you before a service. However, if they're not, they soon will be. You can sit anywhere in the main pews - you won't be taking anyone's seat! Shustoke is first recorded in the Domesday Book of 1086, when it was held by a Saxon, Sot, from Geoffrey de Wirce, a Norman lord. 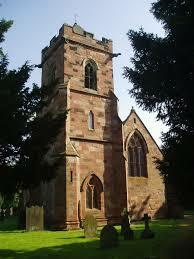 It is very difficult to date precisely the building of a medieval church such as St Cuthbert’s. From architectural evidence it is most probable that the Nave and Chancel were erected during the first thirty years of the fourteenth century, while the Tower and the Spire were added sometime in the following century. Sir William Dugdale, himself buried in the Chancel of St Cuthbert’s, believed that the church was built during the reign of Edward II (1307-27). We have a service at St Cuthbert's every Sunday at 9.30am (apart from the 5th Sunday of the month when we join together as a parish). There is plenty of parking along the lane or in the small carpark by the Alms Houses. We are a very friendly, inclusive and relaxed congregation - there are usually around 20 of us at a service. When you come in, enter through the main door, the South door. Someone will be inside to welcome you before a service. However, if they're not, they soon will be. You can sit anywhere in the main pews - you won't be taking anyone's seat! 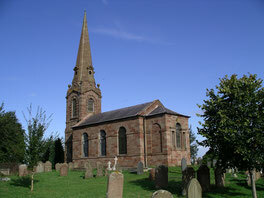 The church of St. Leonard, Over Whitacre, is one of the few Georgian Churches in Warwickshire. It was built in 1765 by William and David Hiorn of Warwick and replaced an earlier chapel known to have existed in 1203. It originally had box pews and the pulpit was halfway along the north wall. The original cupola was replaced by the present spire in 1849. We have a service here on the 1st, 3rd Sundays each month starting at 11am. There is plenty of parking in the car park by the village hall. Come in through the main door and someone will be there to welcome you. We are a small but intimate church which offers a warm welcome to all. 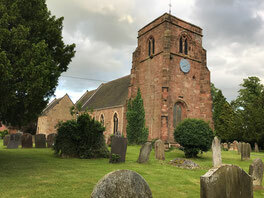 Lea Marston Church is dedicated to St John the Baptist; it is about ½ mile from the village along Church Lane, near to Hams Hall. The building dates from the late 13th century, and some of this early church still survives, namely the south wall and some of the north wall of the nave. There was extensive renovation to the church in the 19th century which was carried out by the Adderley family as the church was on their estate of Hams Hall. There are interesting stained glass windows from this time. A more full history of the church can be found by clicking here. 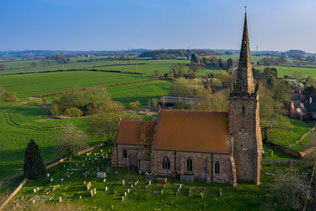 The church serves the villages of Lea Marston and Marston, we are a small congregation with a big warm welcome. We have a service here on the 1st and 3rd Sundays each month starting at 9.30am. There is plenty of parking along the lane. Come in through the main door and someone will be there to welcome you.